Time for another thrilling edition of my Worldbuilding series. Thanks to the reddit community, my series has picked up in popularity. In the last week, I’ve had over 300 views, which is over double what I had the prior month. I plan to produce these articles a little more often. Most sources I see for worldbuilding recommend designing your tectonic plates first then your continents, followed by mountains. Or, your continents first, then your mountains. I go in a different direction, doing deserts before mountains and in this article, I will explain why. 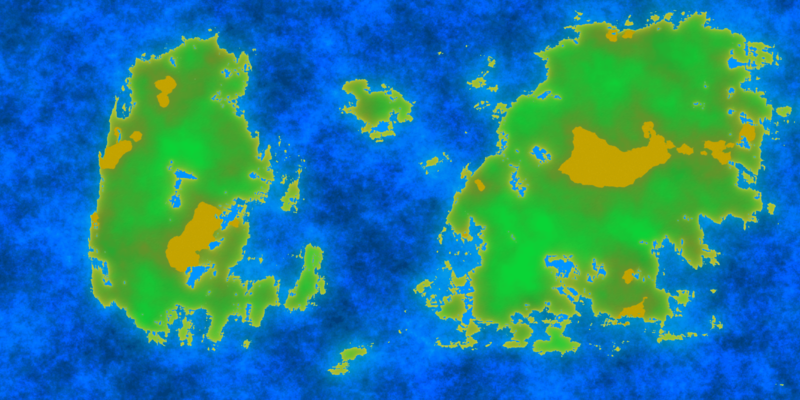 After designing where your beaches and shallow water go, we are now ready to move the deserts. But why make deserts before we design anything else? The reason why is the importance of mountains themselves. Where mountains are located gives a lot of explanation of how your land needs to be designed. But, before we can design where the mountains go, we need to pay careful attention to the deserts. So before we go into designing deserts, I will go into a little education that I hope explains why deserts before mountains. First off, there are two types of deserts, hot and cold. Cold of course referring to the arctic deserts. For this, we will ignore them. We define hot deserts by the characteristics of high temperatures in summer, greater evaporation than precipitation, strong winds, lack of cloud cover, little to no precipitation, and low humidity throughout the year. One of the complains I got from my maps is the fact that I have a large desert near water. First off, each pixel represents a mile, so that desert is a little far from most of the oceans. Secondly, there are mountains surrounding the mountain. Aside from those point, consider the biggest desert, the Sahara. The Sahara Desert is surrounded by 3 bodies of water. General of thumb does tell us, if land is surrounded by water, then the land is fertile. But not always. What it really comes down to is wind and moisture. Now moisture can come from any body of water, including rivers, lakes, and oceans. With moisture and wind combined, it is where we get clouds and rain. While there is wind all over the world, moisture has difficulty reaching some places. In order to understand why that happens, we need to discuss the various types of deserts. First is Subtropic, which occur between 30 to 35 degrees north and south of the Equator. They are also known as Trade Wind Deserts. Essentially, air moves from the East from higher altitutes to the tropics, heating up, and bringing dry wind to the area. It also blows away clouds, so more sunlight for the desert. It is hot during the day, but cool at night. The Sahara desert is a good example of this. The Australian desert is another example of this to the south. 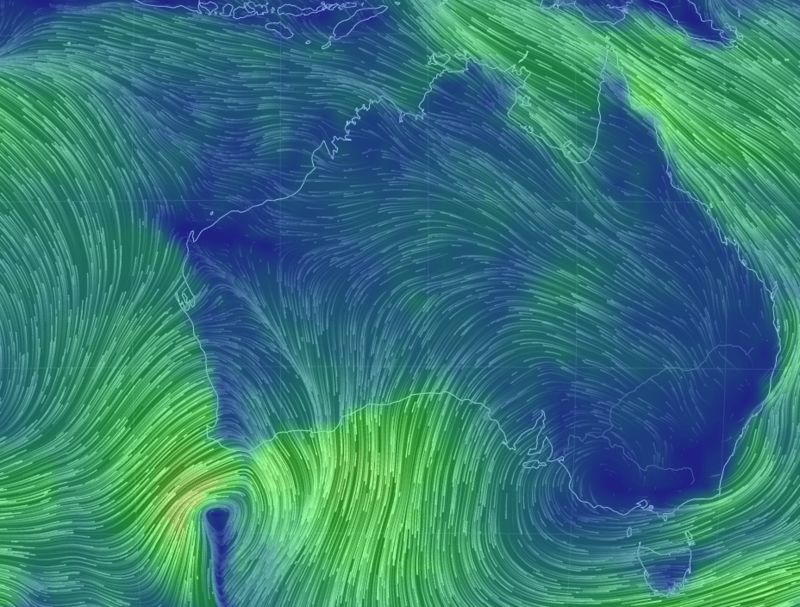 In the diagram below, you will see Australia has wind, but it is all move away from the desert. Don’t look too long, you’ll swear the wind is moving. Next is Mid-latitude deserts. They are mostly in areas remotes and away from the seas, located between 30 – 50 degrees north and south of the equator. It is warm in the summer and cold in the winter. When it rains, it is heavy and doesn’t last long. Then we have Coastal Deserts. As the name suggests, they are located on the continental coasts. This occures due to ocean currents on the coast creating fog and humdity, but it rarely rains. Thanks to the fog, blocks much of the sun. They are cool to moderatly warm. They have short winters and long summers. Last on our list is Rain Shadow Deserts. This is an interesting effect. This occurs when wind carrying moisture tries to go over a mountain. Now when wind carries moisture, it is warm area. As it increases in altitude, it begins to cool down. When the water is cool, it falls. In some locations, it gets so high, that it loses all its water. Death Valley is a good example of this. To a degree, Arizona has a similar effect, from California. Those of us in Arizona pay attention to the weather in California. They might have a terrible rain, we might get a small drizzle. Another great example, which is almost a paradox, is Hawaii. Specifically the island of Kaho’Olawe, which is in the shadow of of Maui’s east Volcano. Now remember, it is an island, it is surrounded by water, and yet is considered a desert. So that is the basics of a desert. The reason for doing deserts before mountains, is knowing where deserts are in relation to the equator and the ocean, we may need to put a mountain in a certain place to create the rain shadow effect. I imagine that a good majoirty of your deserts will be Rain shadow deserts, but it is good to know the other types just in case. Now your world may not correspond exactly how Earth does, as winds may blow in different directions, but having an understanding of the environment in which deserts are created are important. This of course was a basic overview, and I recommend you do additional research if you want to understand climate and geography. 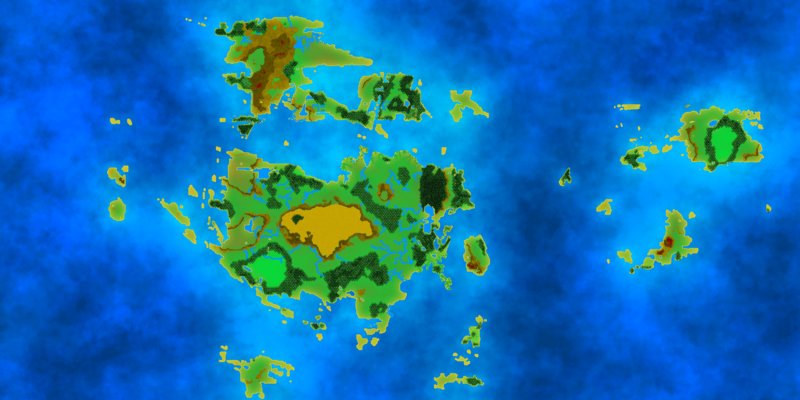 In a later series, once we are done with the map making, we will go into the importance of deserts in relationship to economy and community for worldbuilding. Now, let’s design our deserts. From here on out, a lot of what we do will be on the tedious side. It’s not difficult, but time consuming. So far so good. Now for the tedious part. This is going to require a lot of guess and check. Set your transparency at 50% and select the area. Most likely, more than the brown area will be selected. You can keep guess and checking to find the right percentage you want, or go down by 10% to get close, then change by % points until you find exactly what you are looking for. b. I got lucky at 25% for my map. Generally between 10% – 35%. 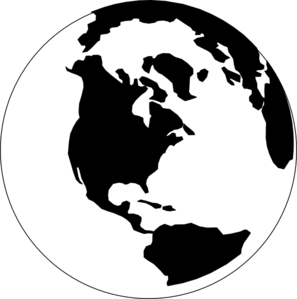 You can do a Shift+Click to do the whole world at once, or do each area one by one. Do this as many times as you need, to get the desired look. For now, don’t delete anything unless you are certain you don’t want a desert in a specific place. It can be challenging to get the same shape twice. As we’ve done before, this gives a layered look to the edges of the desert. It appears a part of the land. If you look up close, the edges are transparent. The last step is something extra you can do. It gives it a texture look of sand. You can skip this step if desired. Play around with the settings to get desired look. This lesson was a bit short on the design portion. This is second nature to me, so I got it exactly what I want for now. However, this may take you a few tries for you to get what you desire. Often times, you don’t know what you truly want until you have it. Once you are complete, start thinking about where some of your mountains are located. For me, I have a few Coastal deserts, a few rain shadow, and one giant mid-land desert. In our next lesson, we will begin our work on Mountains. I think it is vanity to want to put into a story anything but the story itself.